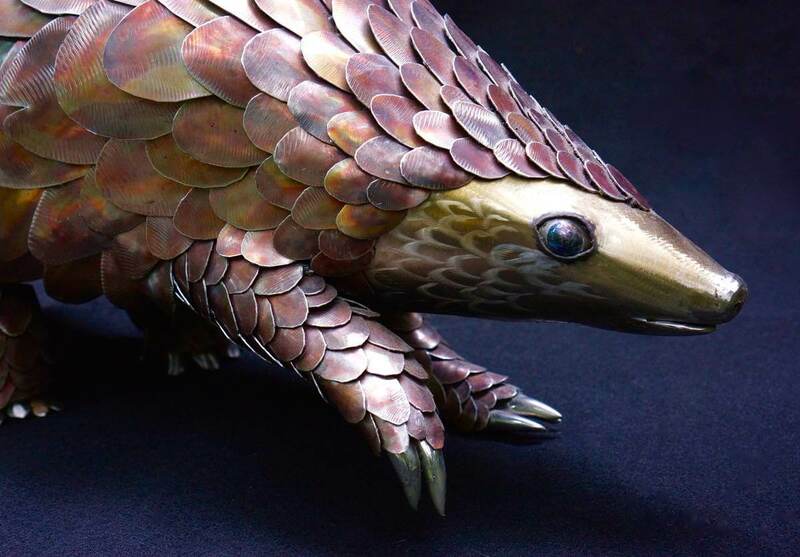 This metal pangolin sculpture is free standing and made entirely of stainless steel. 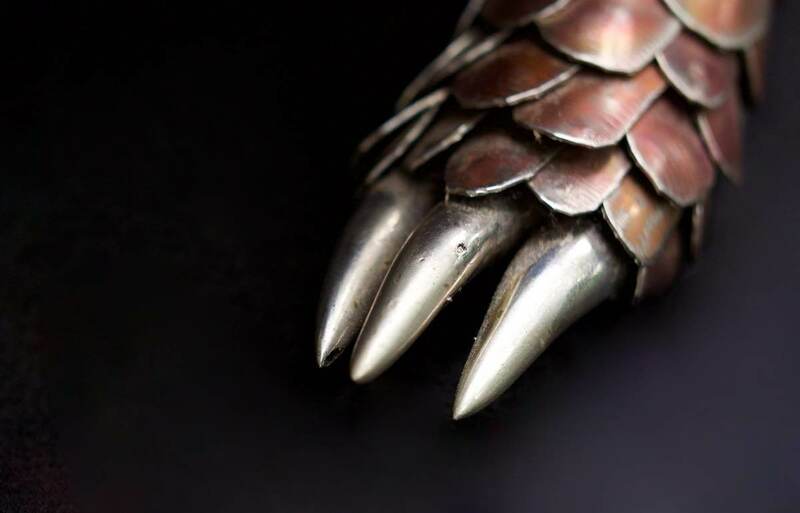 The first time I saw a pangolin I immediately imagined it made of metal. And i am a sucker for repetition. 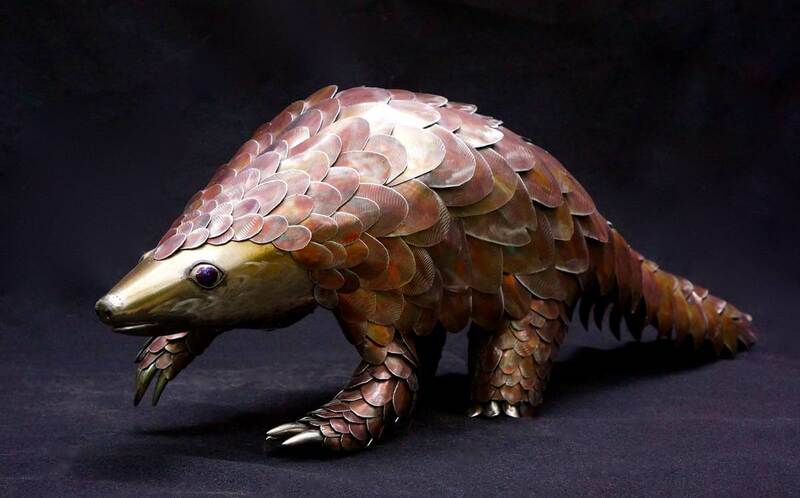 Also I have always loved artichokes and the pangolin is essentially the cute animal version of an artichoke right? It was incredibly satisfying to watch an animal take shape one scale at a time and by the time i got to add the face and claws it really clicked and came alive. This incredible animal deserves more of our attention as it is one of the most poached animals on earth. Lets make sure these creatures will be around for a long time to come. If you are interested in helping here are some websites working to protect them! This sculpture is completely safe to be kept outdoors! 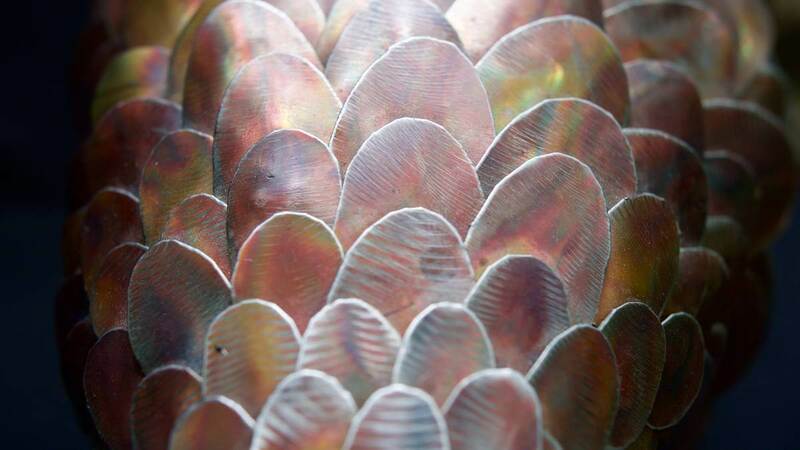 Detailed close up of scales from metal pangolin sculpture.